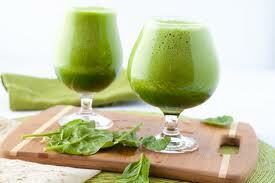 Juicing is a process which extracts water and nutrients from produce and discards the indigestible fibre. Without all the fibre, your digestive system doesn’t have to work as hard to break down the food and absorb the nutrients. In fact, it makes the nutrients more readily available to the body in much larger quantities than if you were to eat the fruits and vegetables whole. What about the fibre? Don’t I need it? Soluble fibre – This remains in your juice even when you take out the pulp. Soluble fiber absorbs water in the intestines, forming a gel that helps slow the transit of food through your digestive tract. It also acts as pre-biotic to support healthy bacteria in the gut. Insoluble fibre – This remains in your smoothie as the pulp. Insoluble fibre makes you feel full because it literally takes up more room in your stomach. This fibre helps keep you regular. Since your body doesn’t absorb much of it, it also adds bulk to your stool. Next postFresh Juices To Your Door! Its the perfect time for a spring cleanse. Enter your email address to follow our posts and receive notifications of new posts by email. Welcome To Royal Arsenal Juicery!